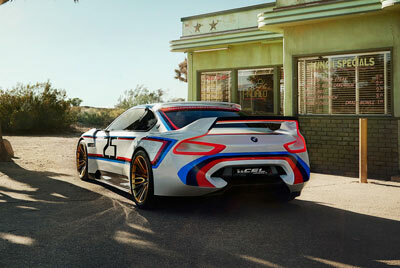 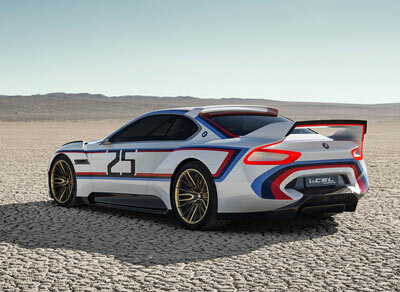 The BMW 3.0 CSL Hommage R is a racing-modified prototype based on the 3.0 CSL Hommage concept car. 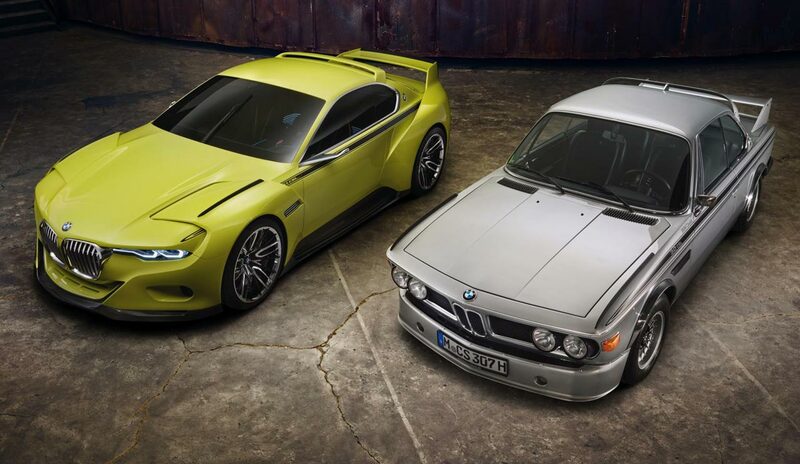 Like its roadgoing counterpart, the 3.0 CSL Hommage R was heavily influenced by the design of the 1970s model from which its name originates. 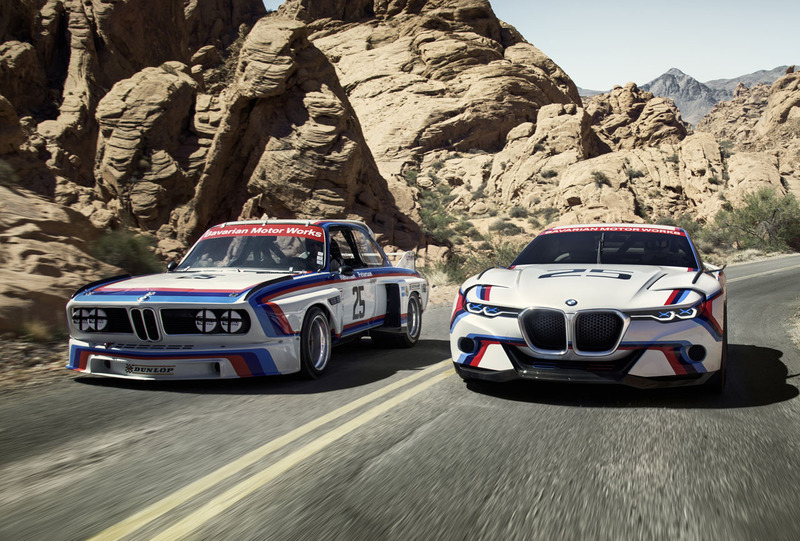 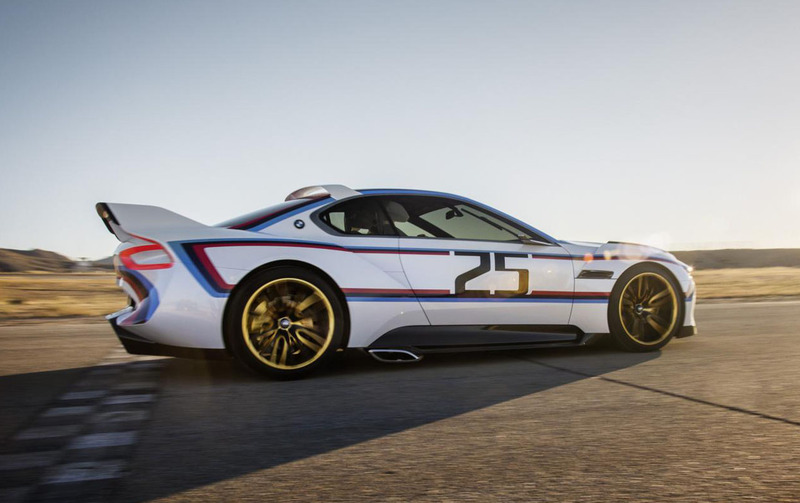 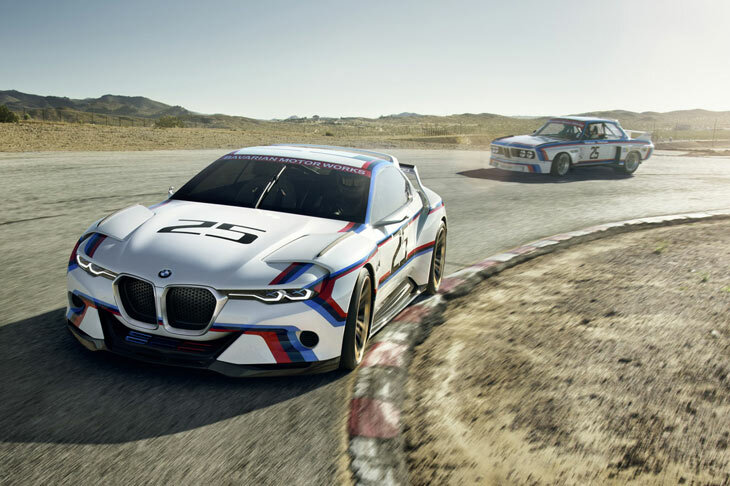 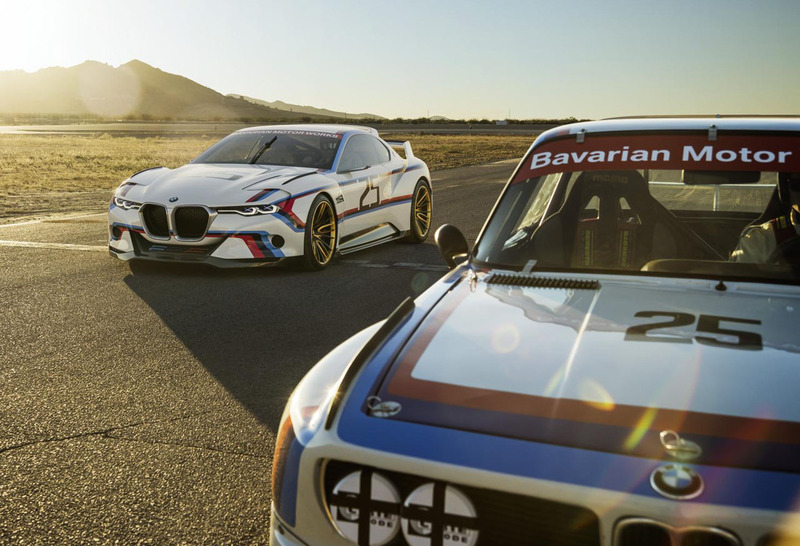 BMW created the cars to commemorate two historic dates, 40 years of BMW North America, and 40 years since the original 3.0 CSL racer dominated in its class 1975. 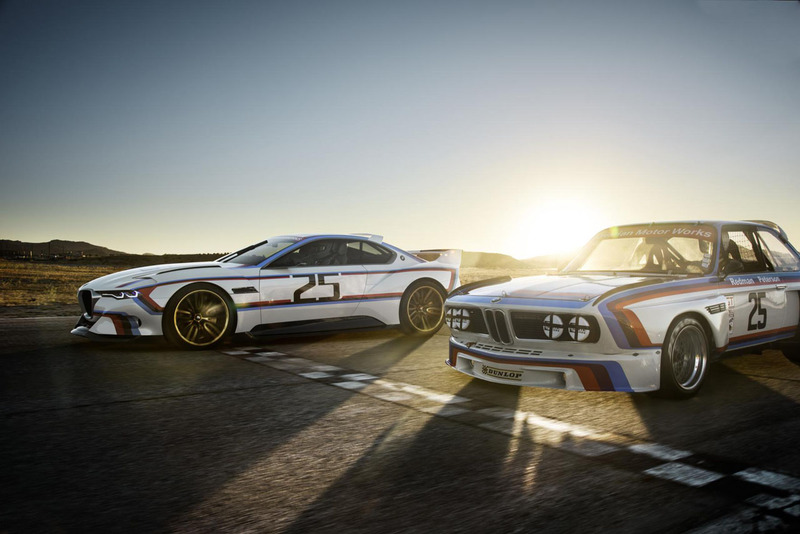 The number 25 emblazoned on the car was chosen to signify the number of success notched up by the works BMW 3.0 CSL during that year. 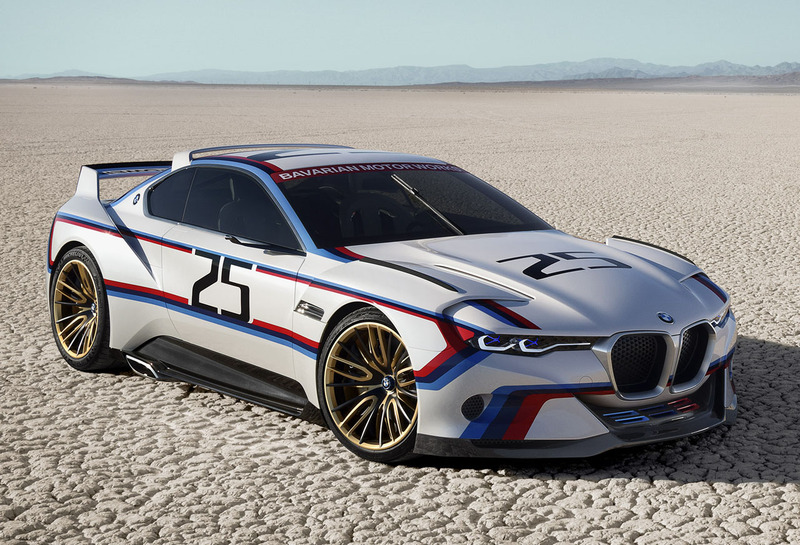 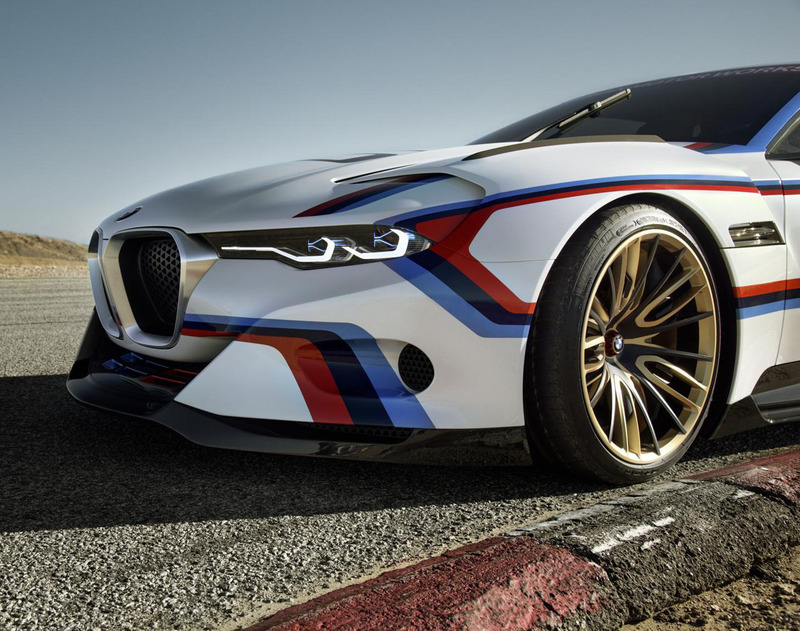 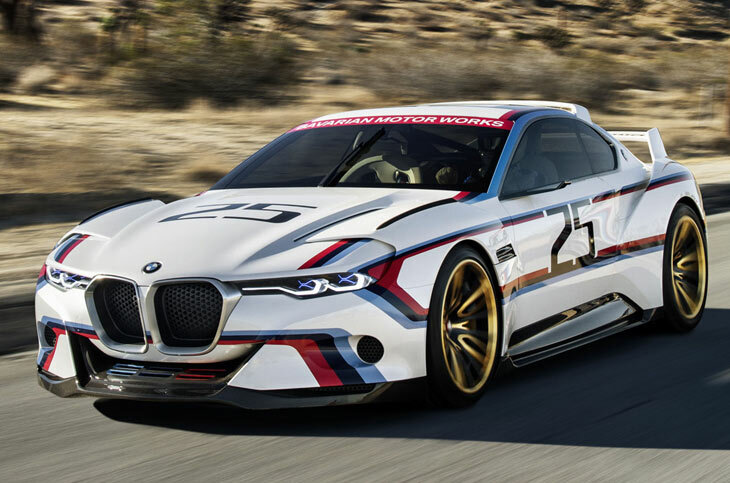 Despite the eye-catching iconic BMW racing livery, there aren't that many obvious racing modifications to the car. 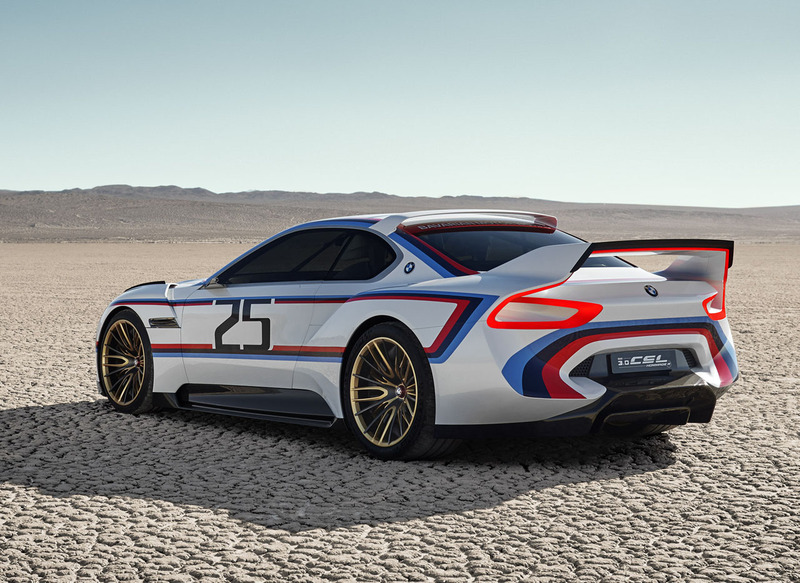 Changes include 21-inch matt-gold wheels, a more inset front grille, vertical windscreen wiper, and a revised interior with new seats - formed from carbon fiber - and a more stripped back racing-inspired design. "Both inside and outside, the BMW 3.0 CSL Hommage R is primarily a reflection of its function," explains Karim Habib, Head of Design BMW Automobiles. 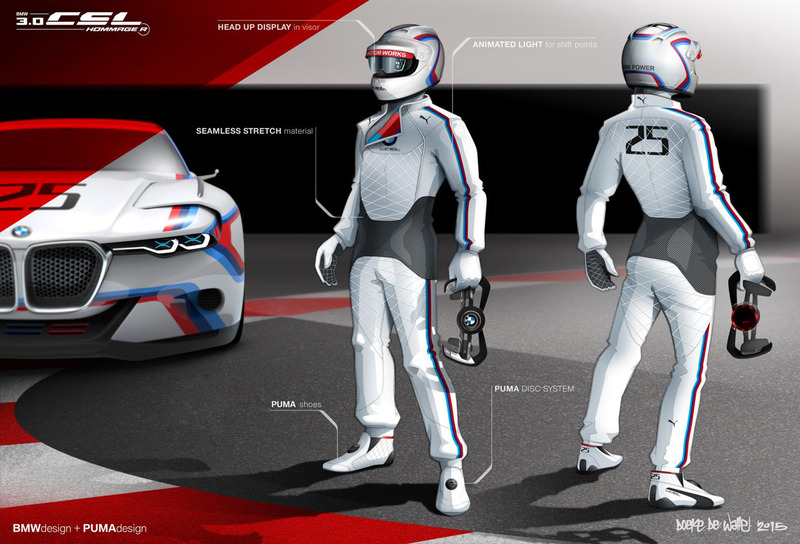 "The exterior and interior design is based around the requirements of motor sport as far as the car and driver are concerned; aerodynamics and driving dynamics on the one hand, the most direct connection between driver and machine on the other. 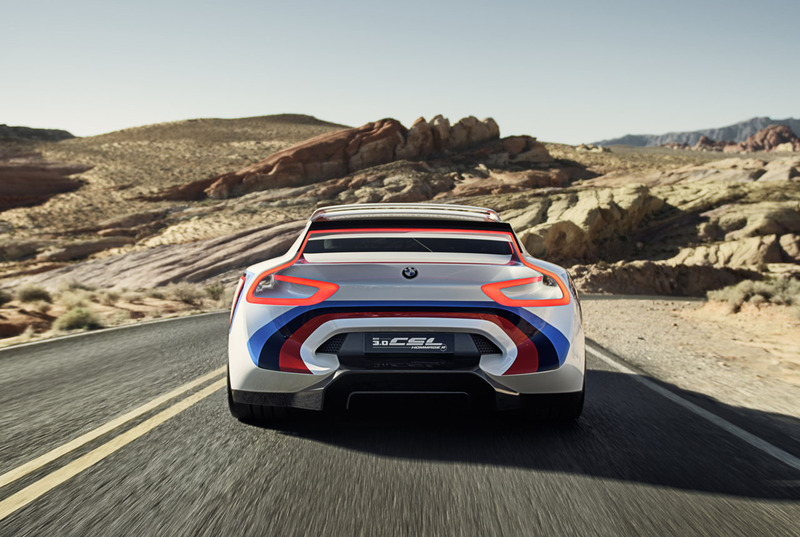 In my view, that�s something the Hommage car expresses in a very emotional way. At the same time, all the details from the BMW 3.0 CSL are present in the Hommage model. And they are all there to be discovered in their original form. 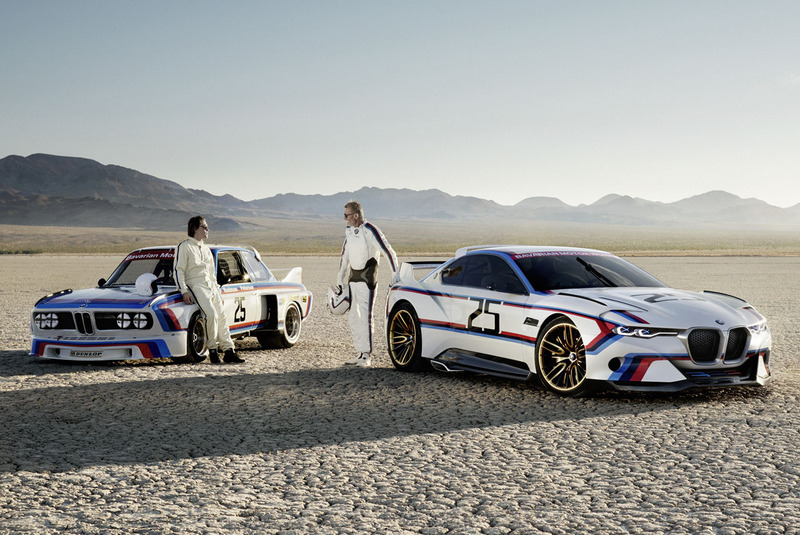 It�s a bow to the 1975 car." 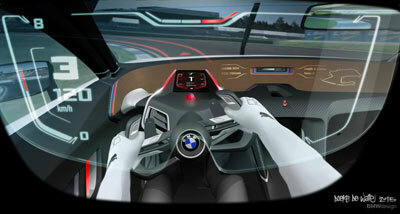 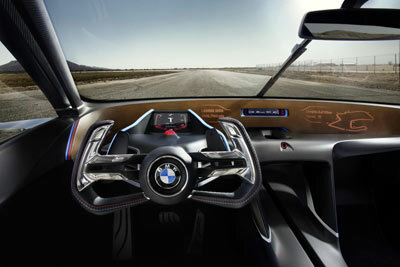 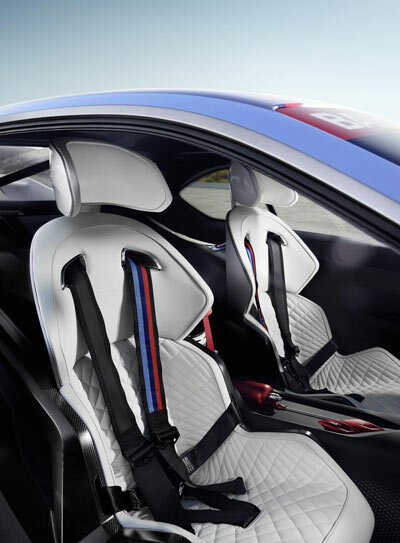 The interior of the CSL 3.0 Hommage R is based around the driver. However it is not just the car's interior which has been created to enhance the driver's environment, both the helmet and racing suit have been made specifically for the car. 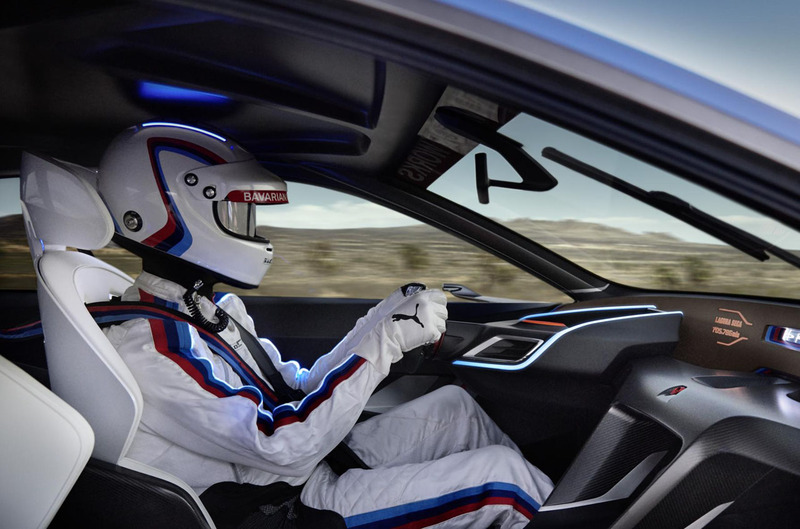 The helmet visor relays important data directly to the driver via a built in screen, showing data such as speed, rpm and gear selection. 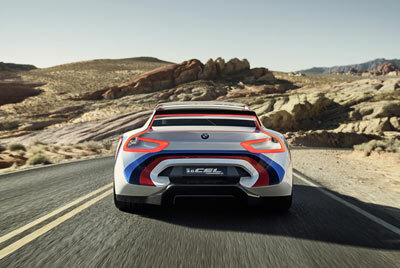 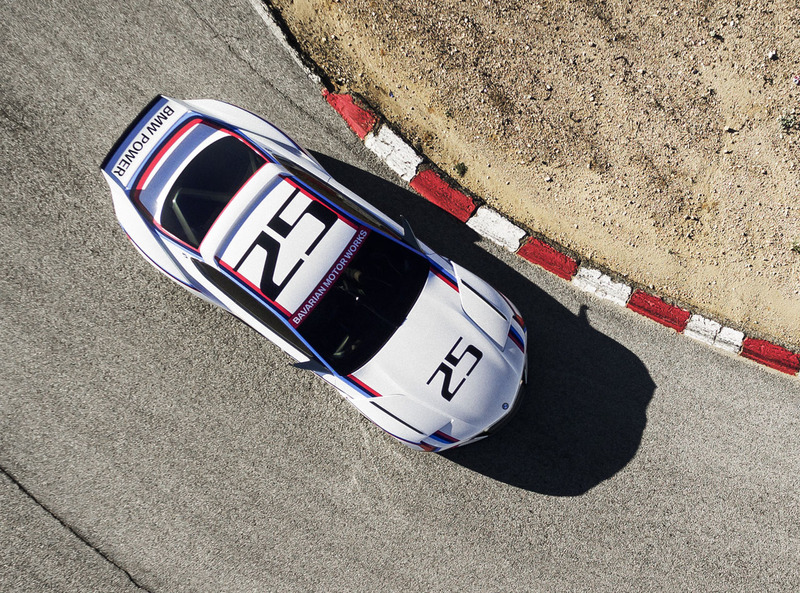 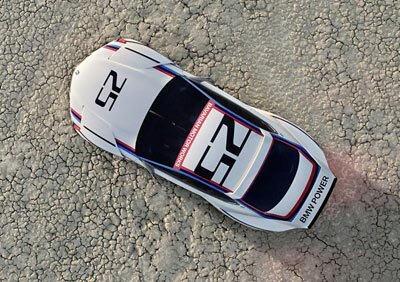 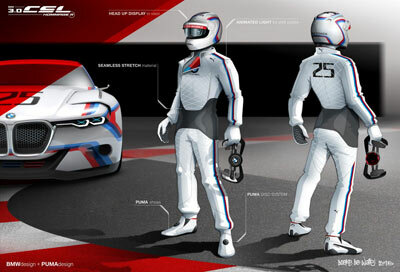 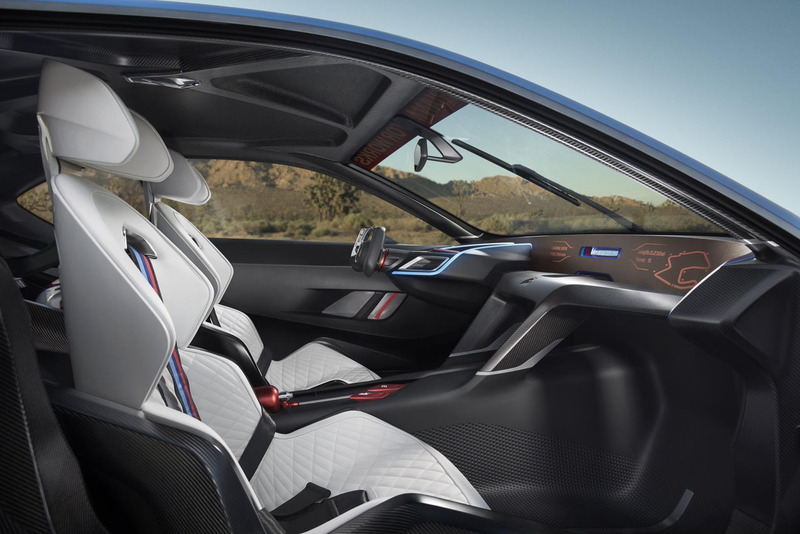 The bespoke racing suit with matching white, red and blue fabric was created for BMW by Puma.